5 Bedrooms & Close to the everything you need in BUSHLAND BEACH! Perfectly positioned in Bushland Beach where everything is 5 minutes from your doorstep and families all come together as one. This generously proportioned family built home offers and ideal balance between indoor and outdoor living situated on a 675m2 block so plenty of space for the kids to play. The minute you walk into this immaculate stylish home you are welcomed by over sized doors flowing fresh sea breezes throughout the home. The well-appointed kitchen features gas appliances, splash back features, dishwasher, ample storage/bench space and overlooks the dining/living area and leading out onto the entertaining area. For accommodation you have 5 bedrooms, 4 bedrooms feature split air-conditioning, built in wardrobes, TV points/data points and ceiling fans. The king sized main bedroom of course is complimented by its own en-suite with a gorgeous finish including double shower heads for him/her and a walk in wardrobe. Bonus media room at the front of the home perfect to lock yourself away and enjoy a few movies on hot summer days. This property truly speaks for itself with so many options and offers also 5kw solar system, Fresh carpets, landscaped gardens, double side access, 2 bay garage, fully fenced backyard which is children and pet friendly. – The house has data points in every bedroom (so no need for messy internet cables and fast internet). 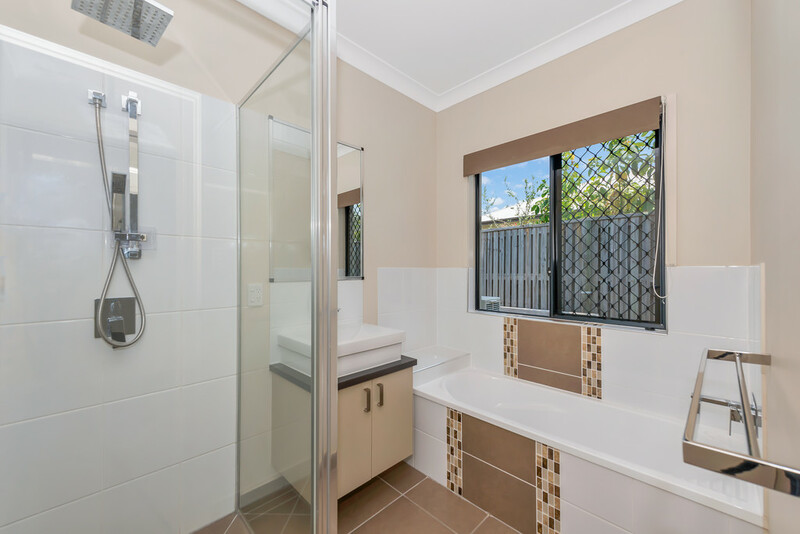 Close to local schools, Coles Shopping complex, Bushland Beach Pub, Parks, Dog parks, Swimming, Local community events, Football Fields and so much more. So what are you waiting for? Get the kids come along and check out what could possibly be your brand new family home!